Outlander and the media…..middle-aged women…why the bad rap? – My Outlander Blog! I am very protective of Outlander and Diana Gabaldon. I have a personal stake in the success of her books and Outlander Starz who had the foresight to recognize an excellent story! I NEED them to succeed! It’s a matter of honor! ( like I have had anything to do with anything) I would go to battle for them against any media big or small! So, when I see the merest hint of disparagement, I can feel my ire rise. My blood begins to boil with the need to defend. A misguided journalist calls my beloved books romances only? I will write a comment of clarification the likes of which has here to never been seen! I know…brutal, but that’s how I roll. When writing about Outlander the media often uses the same potentially disparaging remarks like the “R” word. There is, however, a remark the media uses that I just don’t get. Bored middle-age housewives. I THINK they mean to suggest that the books or t.v. series’ value should be questioned because “middle-age women” are fans. Why? What’s wrong with middle age, taking care of a home, being a woman, or being bored for that matter? Aside from the FACT that these books have been read by people of different age, race, culture, genders, and walks of life, why choose middle-age women as your barometer for unworthy reading or watching material? There is a lot to like about middle-age! Middle age comes with some definite perks! Would we go back to our 20’s? shiver Not without what we know now! Experience is the foremost benefit of middle-age. We have had more time to read and bring a wealth of real-life experience to bear while we read. In my opinion, that makes us better able to judge a books’ literary worthiness. We’ve been to the circus and seen the dog and pony show! We can recognize what is good! Now, note I did not say, hip, cool, groovy or hawght <g>, I said good. We can see the potential for deeply examining the wonder and irony of life found in the pages of Diana Gabaldon’s books. We appreciate her ability to reveal the human experience in a way that allows us to feel. Aug. 9th will change everything…..what I’ll miss…Outlander! Well said, Beth! I am a veteran of the US military, college graduate, about to turn 40. For my family, it works that I do not hold a paid job outside the home at this time. I find the term stay-at-home laughable because with a family of 6, I rarely stay put. 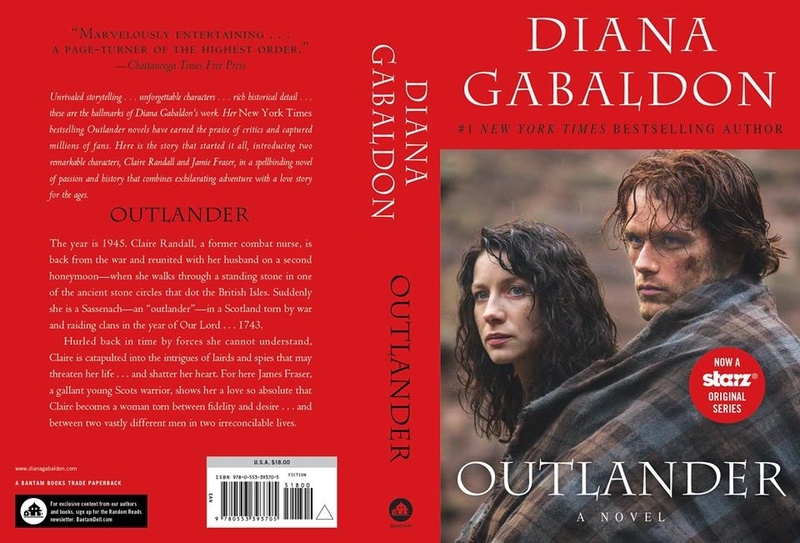 As Diana mentioned in her recent book talk at the National Press Club in Jun 2014, in the age of physical book stores, Outlander being considered romance yielded a higher number of books printed. It was useful at the time. These days, as book stores have less and less physical space for books, Diana has a devout readership who can put book 8 of the series on the New York Times Bestsellers in the first week, and Goodreads and Facebook are go tos for recommending new reading material, being labeled as romance is less necessary. Thanks for writing this thoughtful piece. I need to run now. Someone needs me somewhere but I’ll sure as heck bring my eReader and my smartphone to keep in touch with all the lovely people I’ve met through Diana Gabaldon’s books and social media. Loved your reply! It resonated with me and I’m sure so many others! Hope I hear from you again! I refuse to have someone else tell me what is worthy. Very often, I find what others find cool extremely unfulfilling, so as far as I am concerned it’s all down to what you find worthy of your time. I like deep, meaningful stories where characters have merit. Outlander is all of those things and so much more! I agree totally. Another benefit of middle age, caring less what others may think of your choices! Thanks again for your comments. I always enjoy hearing from you! Amen sister! From one middle aged (not so bored) woman to another. Hell who has time for boredom? You summed this up well. Why should execs care about our gender and our age when our numbers speak for themselves. Yes and we have more buying power. Remember the line from Fried Green Tomatoes, when the middle aged woman rammed the car of the younger woman who stole her parking space? “…Because I’m older and I have more insurance.” Love that. So funny! I almost added that line! Thanks for taking he time to comment! Yes, yes, and yes! Why the label of middle aged housewife does not bother me as much as it would have 15 years ago.! I am home now due to health issues an I have chosen to see it as a blessing that I was able to witness my girls’ daily life and take care of me. When I was starting out as a young harried feminist I would have bridled at the term but now I can see that being a caretaker of your home and family, whether by choice or circumstance, if no easy road and is NOT without its rewards. I am sure you did not intend for this post to start any debate, just take it from me as one unintentional stay at home, it is not at all what I had imagined it being, and is truly a job that needs filling! And if anyone wants to pshaw! at my chosen entertainments while they sneer at my staying home, who cares? Wow sorry for the blog post length comment but a great post,Beth! Long?! No! Love hearing from folks! No, I didn’t really mean to start a debate. Just irritated. I just don’t get people sometimes! Tolerance & respect would be nice to see every once and awhile. It is testament to the quality of Diana’s writing and imagination than many of us who read the book when it was first published (in the UK where I am 22 years ago) when we were much younger, now we have hit middle age (in my case 52) and it continues to have the same ‘hold’ on us now as it did then and are waiting patiently hopefully to see it in the UK too, where we will join whichever TV station/outlet who hopefully buys the screening rights. I agree with you totally! Maybe because she write about what’s real in anyone’s life? Thank you for reading and taking the time to comment! Hey Beth, I just read this and you know what? We are kindred spirits! Why is it okay for society to put women down just because we get older? We are experienced and alive. Is that so wrong, lol? Keep writing! Beth, That is fantastic you should be proud! If we’re gonna keep writing about the same topics on the same days, we need to coordinate our outfits. It’s almost noon and I’m writing in my PJs. You? Keep writing! IKR ! I write on the iPad in my recliner with two mini doxies on my lap. I’m getting really fast typing with one finger.